Daffodil (Daffy) is a beautiful friend. 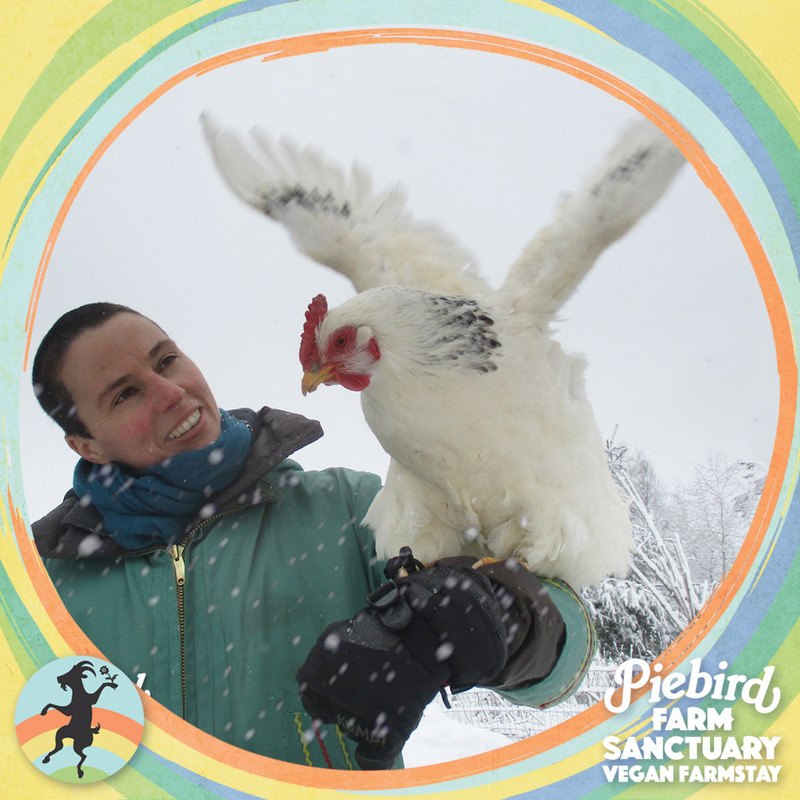 She is an inspiring survivor of the egg industry. Now, here in sanctuary, she is thriving! It took her over a year to recover from her previous life. All of the chicken friends here in sanctuary come from previous lives of oppression where head-shaking exploitation were infringements on their freedom, and Daffy’s story is a reminder that here in sanctuary, freedom is victorious! Daffy is a kind and trusting friend to us and to the new arrivals in sanctuary. She is always the first to welcome new friends to the flock, most recently Ray.